The Rock & Roll Class of 2018 Nominees have been announced since I photographed YES. The list underscores something that I continually questioned during the two days that I photographed Barb Wire Dolls. Why aren’t women equal partners in the history of Rock & Roll? 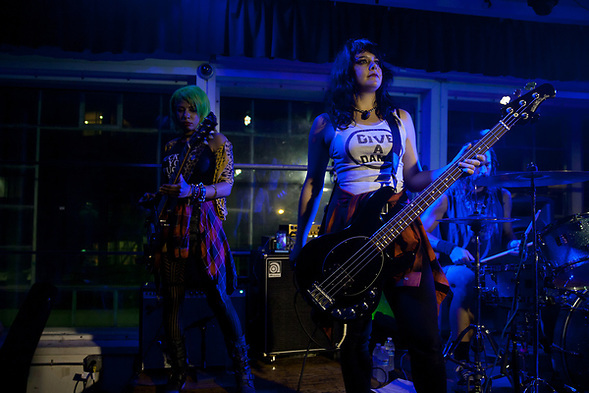 I am hopeful that bands like Barb Wire Dolls are part of a larger societal change. It was clear from watching the Barb Wire Dolls that this band had enough energy and talent to become successful. Their music is not Top 40, so they will not be “popular,” but they can be influential. Oct 17th: I have continued organizing my photos and words past Friday the 13th when I originally posted. In addition to my thoughts about women and the Rock & Roll Hall of Fame, I have been considering the impact of the Harvey Weinstein story. It feels as if we are undergoing a societal shift, but I wonder if we will ever know the long term consequences. When I first saw Barb Wire Dolls take the stage at the DNA Lounge in San Francisco, I felt as though I were seeing something from a good Quentin Tarantino movie. 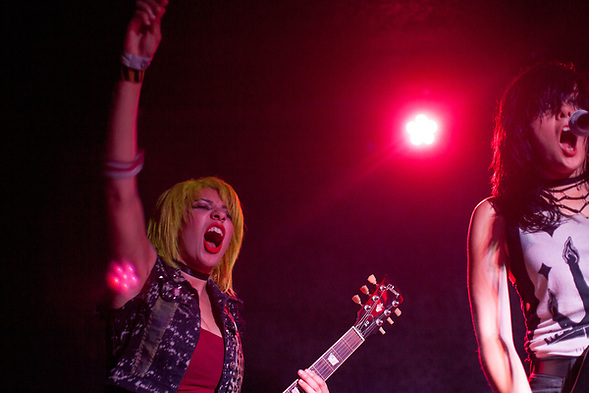 The Barb Wire Dolls were fiercely loud and simultaneously layered. I hoped that Tarantino would create a movie or role for the band until I remembered his connection to Weinstein… and then I wondered how much Tarantino knew. How much did they all know? During the last week, I have not heard enough commentators question Weinstein’s allies. We know that some women signed Non Disclosure Agreements, but many other people who worked in the entertainment industry did not sign NDA’s. They knew and said nothing. My comments might seem irrelevant when discussing the future of a female-led rock band, and I hope these issues have nothing to do with the lack of women in Rock & Roll. However, it seems that some men have used their position to limit women to use their voices… and the band I saw last week is not afraid to use their voice. This entry was posted on Friday, October 13th, 2017 at 11:59 pm. 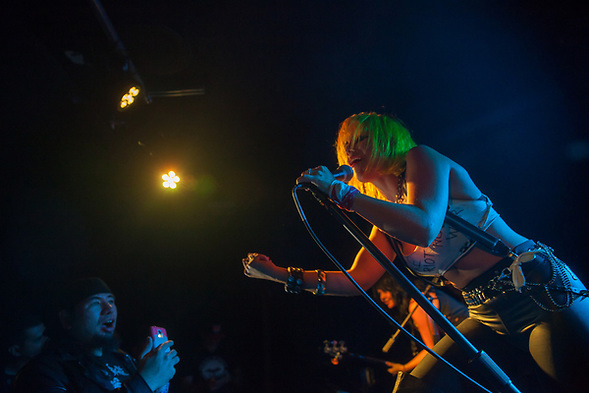 It is filed under Music Photography and tagged with Barb Wire Dolls, Concert Photography, Sacramento, San Francisco. You can follow any responses to this entry through the RSS 2.0 feed.